I had a long conversation with this photographer, a colleague we had met on professional seminars. He had taken the decision not to be a wedding photographer any more. The reason? He felt he could no longer compete with the low prices some photographers seemed to be able to work for! He said that he felt that couples were choosing photographers on price, rather than the photographs they liked! Also there seemed to be a mindset that wedding photography was all about taking photographs on the wedding day, uploading to computer and then downloading to a CD and handing the CD to the bride and groom! 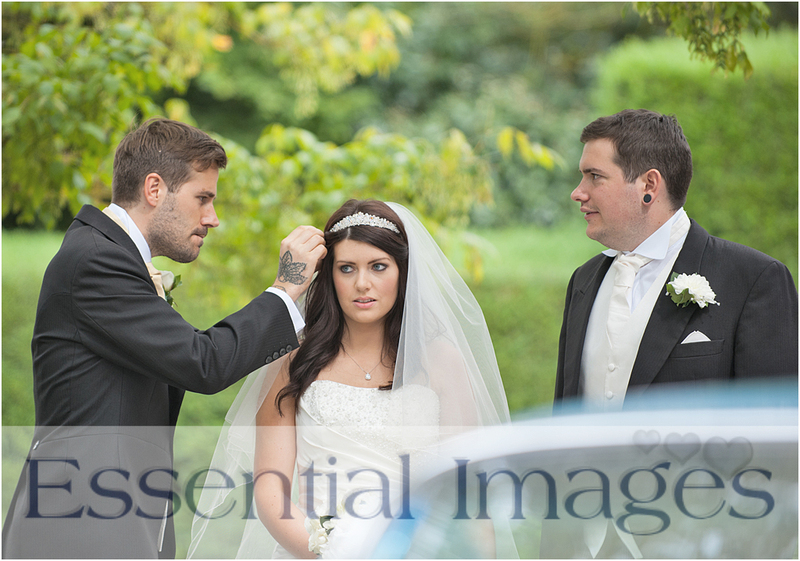 Oh dear, this wedding photographer will be sadly missed, his wedding photography was beautiful and when we were unable to cover a wedding, he was recommended by us wholeheartedly. It was talking to him that made me want to put pen to paper (or blog actually!) to help you understand why professional wedding photographers' wedding pricing is higher than you may have envisaged. * Have invested thousands of pounds on professional equipment, cameras (not just one - we have back up cameras too), lens for any situation, lowlight, ambience, bounce flash, fill flash and studio lights for those rainy days! Storage for pics like you have never even heard of! In fact, equipment to cope with any situation! * Belong to Professional Photography organisations and have passed rigorous examination boards and critiques to gain their qualification! 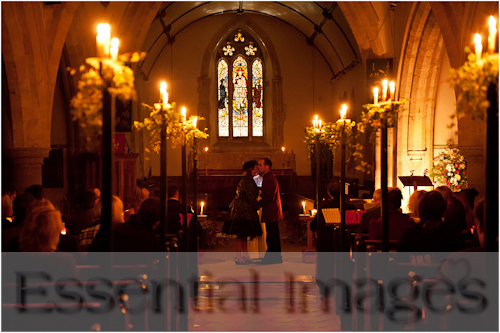 ie: for us a wedding on a boat in the middle of the Solent and a church with no lights, just candle light! * Know the flow of a wedding day, where to be at what time and when and can adjust to changing circumstances and the unexpected! * Don't just upload images to computer and then download to a CD. We upload images, back up, back up and back up again. We then spend days processing and editing giving relevant images a real WOW factor, creating some in black and white and some with selective colour. * Listen! 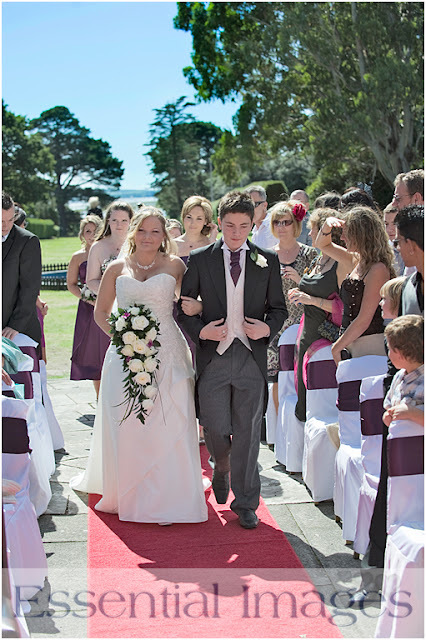 We listen to what you want, what you envisage for your wedding day photography! Your requirements will be different to someone elses - some couples want their photographs used in portfolios and others don't! ie: We had two couples last year who did not want their photographs published in any way - their wedding was not a public affair - it was very personal - we ensured it stayed that way! These are just a few of the things professional wedding photographers do - I could go on much longer! Professional wedding photography is our job, it is our passion, it is our profession! This photograph was taken in daylight but given a romantic look with creative lighting. 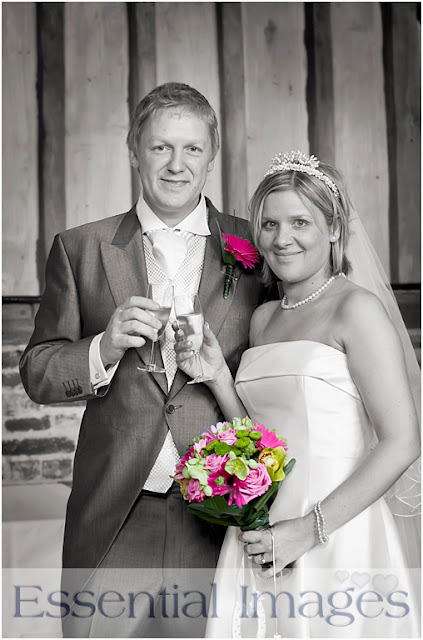 The most important thing for you to remember is that you get on with your wedding photographers so that you can relax in front of the camera on your wedding day and it is very important that you love the photographs, not only on their website but in their portfolio too. A truly romantic wedding by just candle light. Once the dress is packed away and the cake has been eaten - you only have your photographs - Make sure they give you wonderful memories not just for the moment but forever! 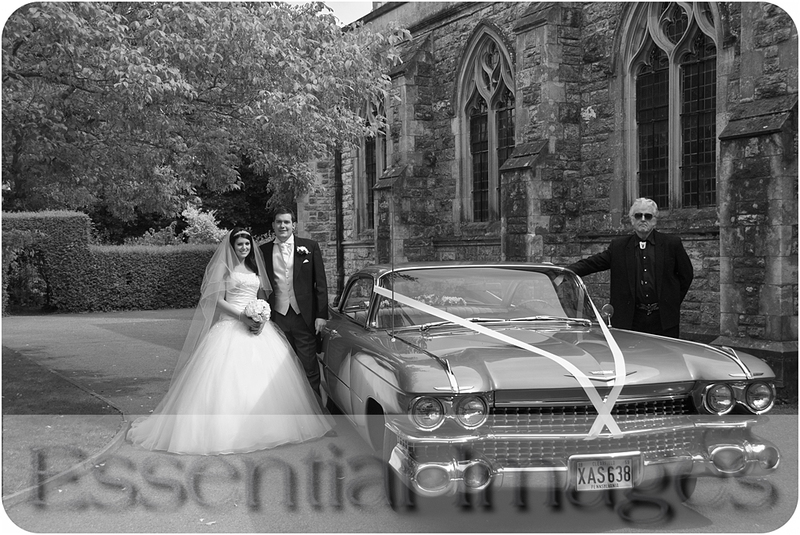 Because of the cadillac we converted the photograph to black and white to give it a timeless feel.